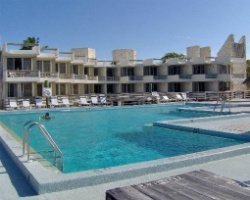 *Caloosa Cove Resort* in Islamorada, Florida, is surrounded by both the Atlantic and the Gulf of Mexico, and therefore offers guests a splendid variety of water activities - fishing, boating, water skiing, windsurfing, and more! Island hopping, scuba diving, and underwater photography are very popular in the area and known for being excellent. For more information about this exciting, sun- and fun-filled vacation destination, visit www.caloosacove.com. Enjoy the many nearby water activities! Annual week 36! Atlantic Ocean side with direct access to the reefs & gulf stream. Marina on site!